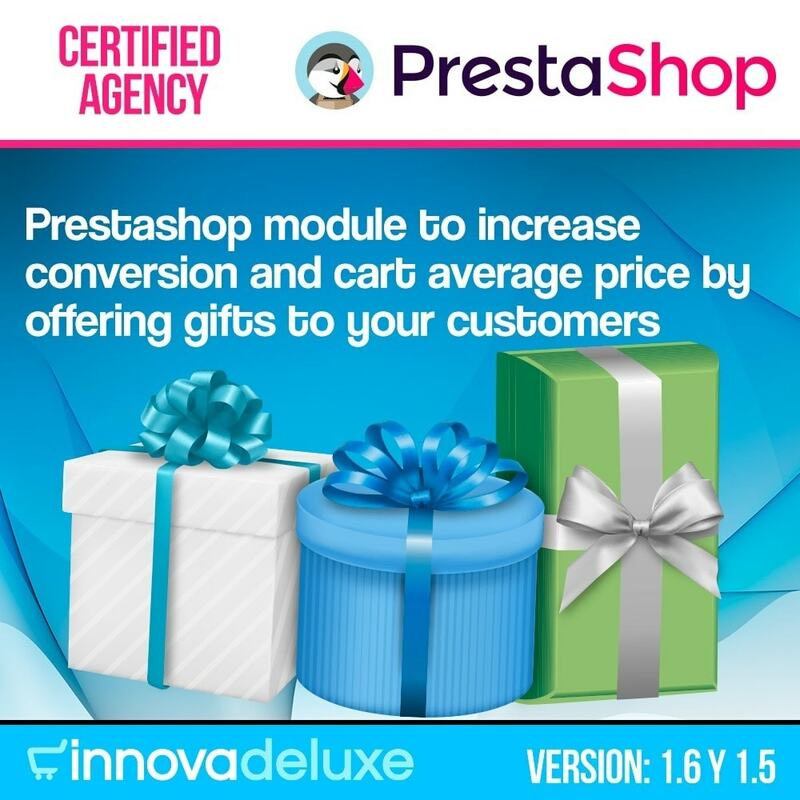 With this marketing and conversion module, you’ll be able to increase the average price of your shop carts. 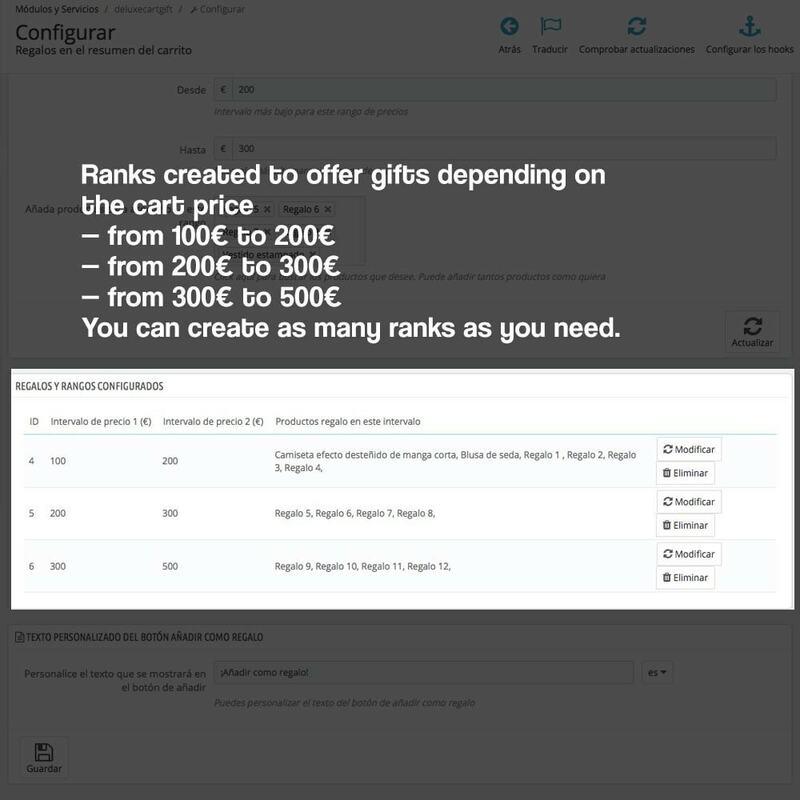 In addition to this, you will have more conversion by increasing your customers loyalty offering gifts. 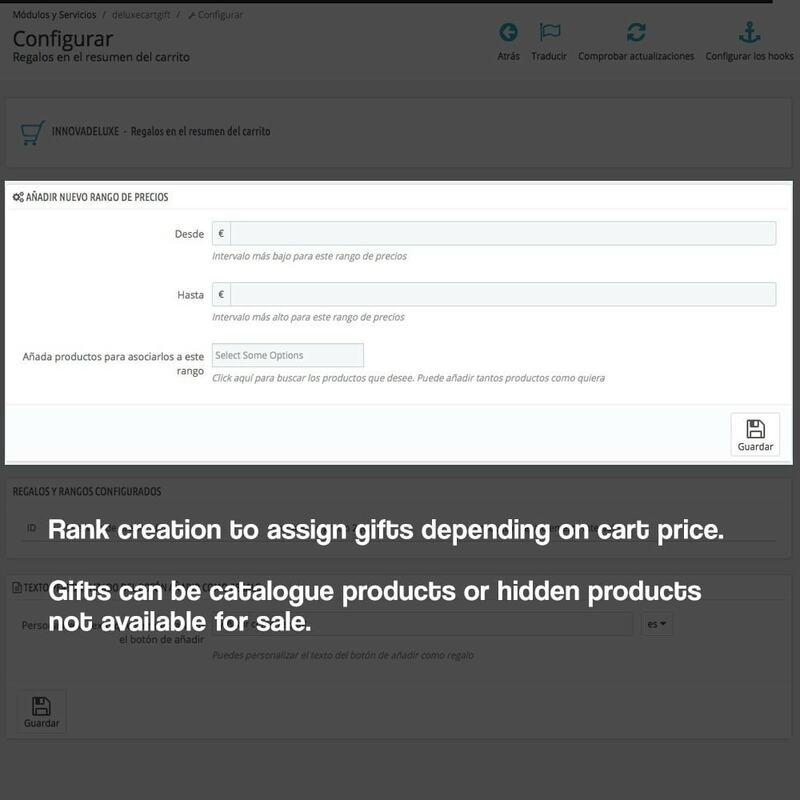 You can offer gifts chosen between your products, or other products not available for sale in your catalogue, adding value to the shopping carts. You can create as many ranks as you need, there are no limits. 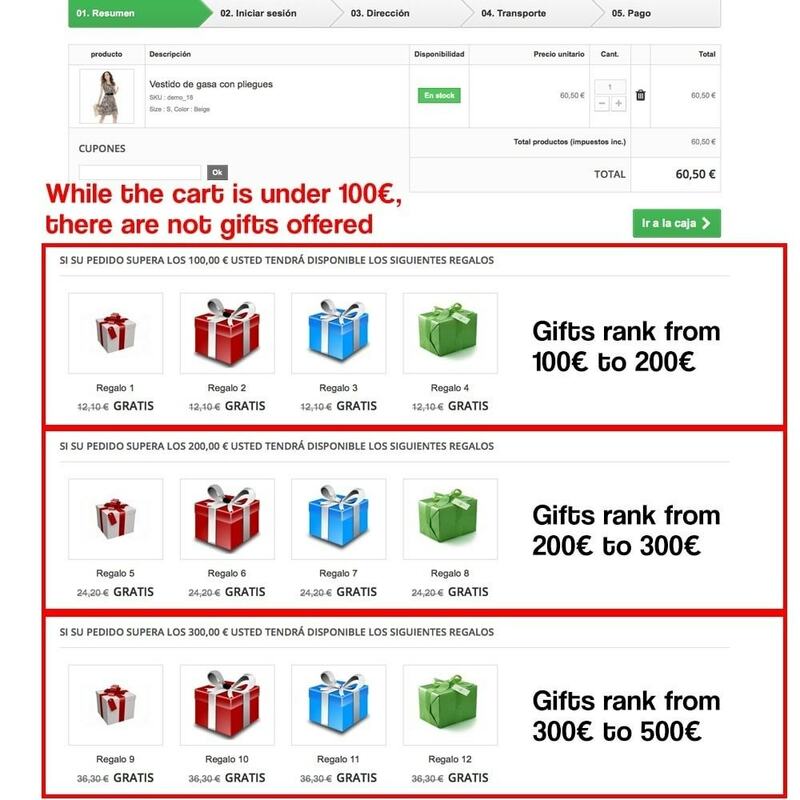 You can add different gifts for each rank. 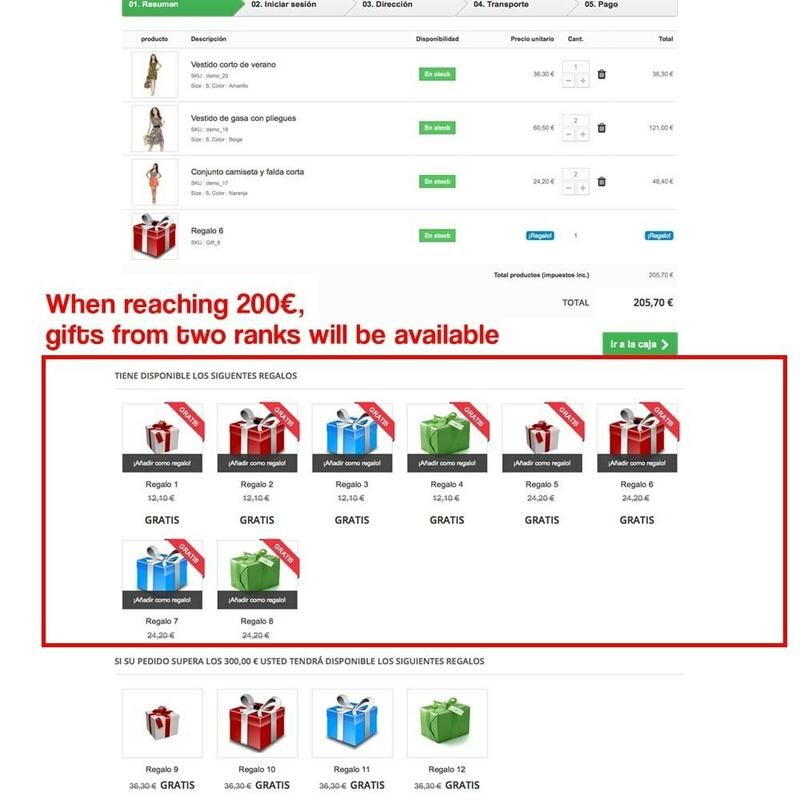 You can add as many gifts as you need, there are no limits. 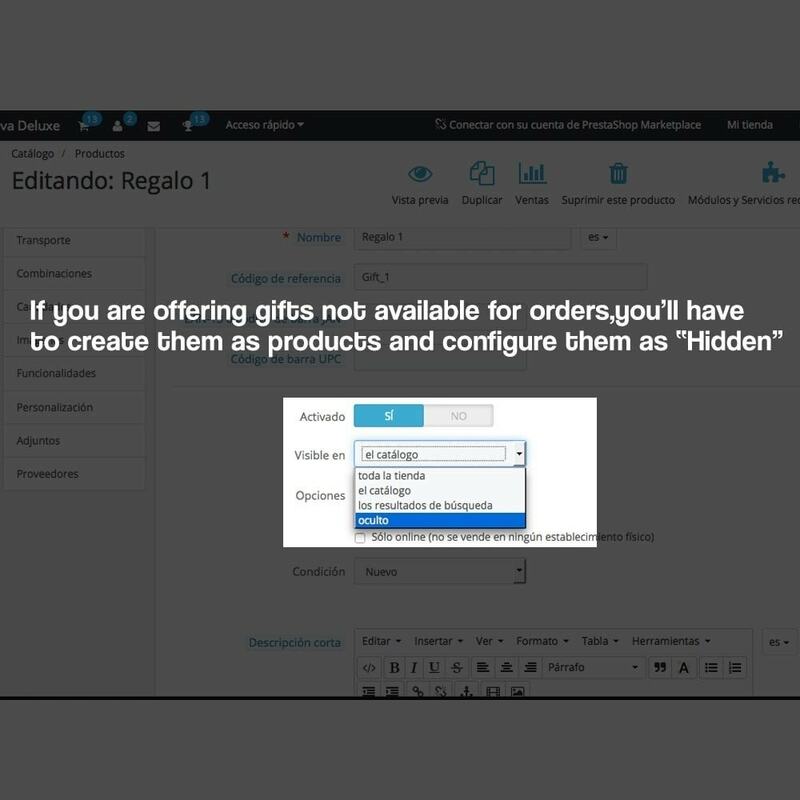 You can create gifts with products available for order in your shop. 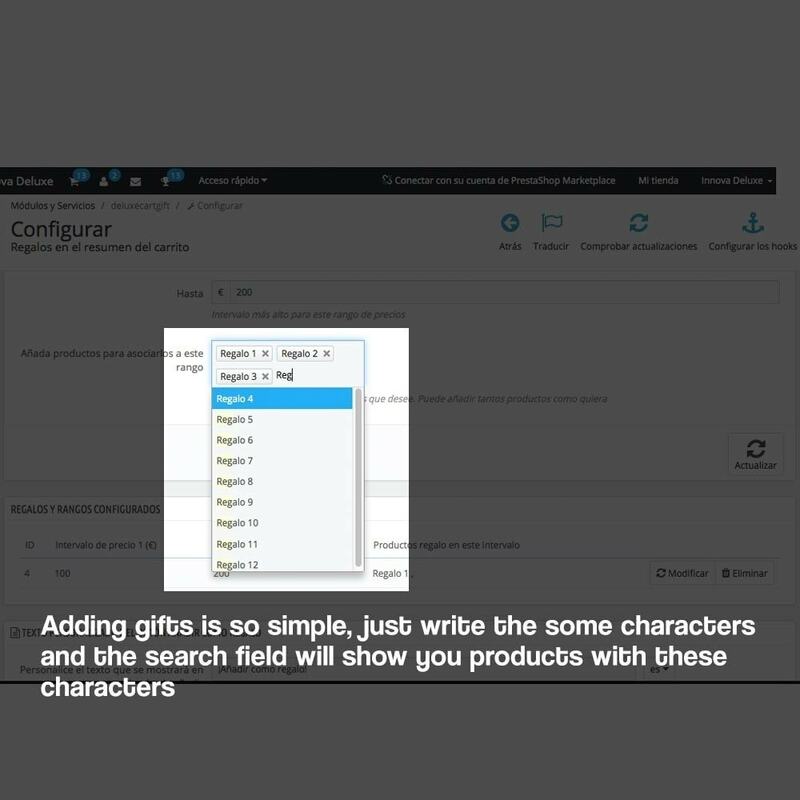 You can create gifts with products not available for sale in your shop. 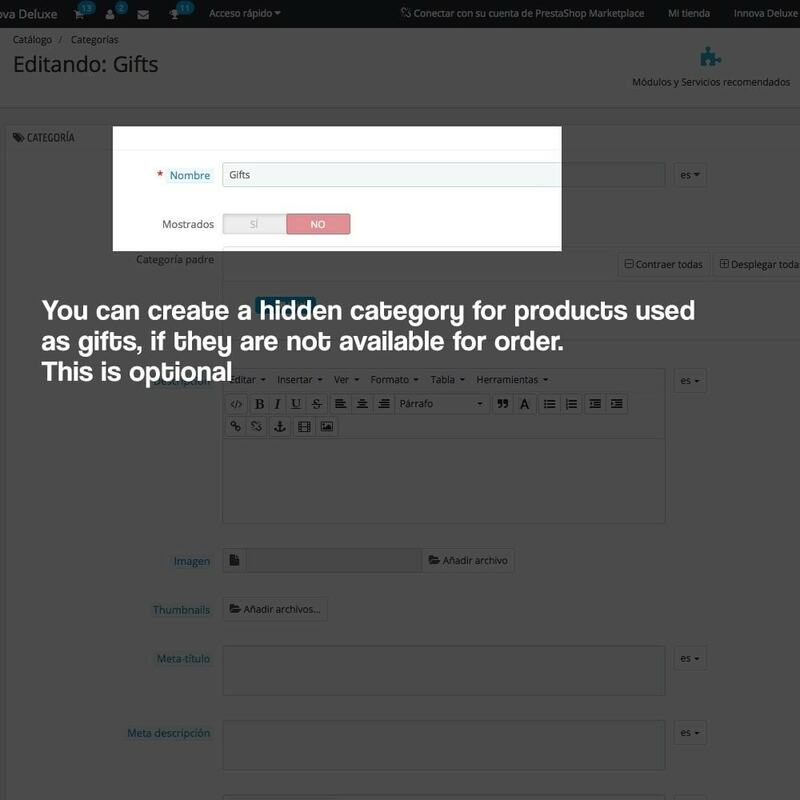 You can create hidden products in a disabled category and then use them as gifts, special products used only for gifts. 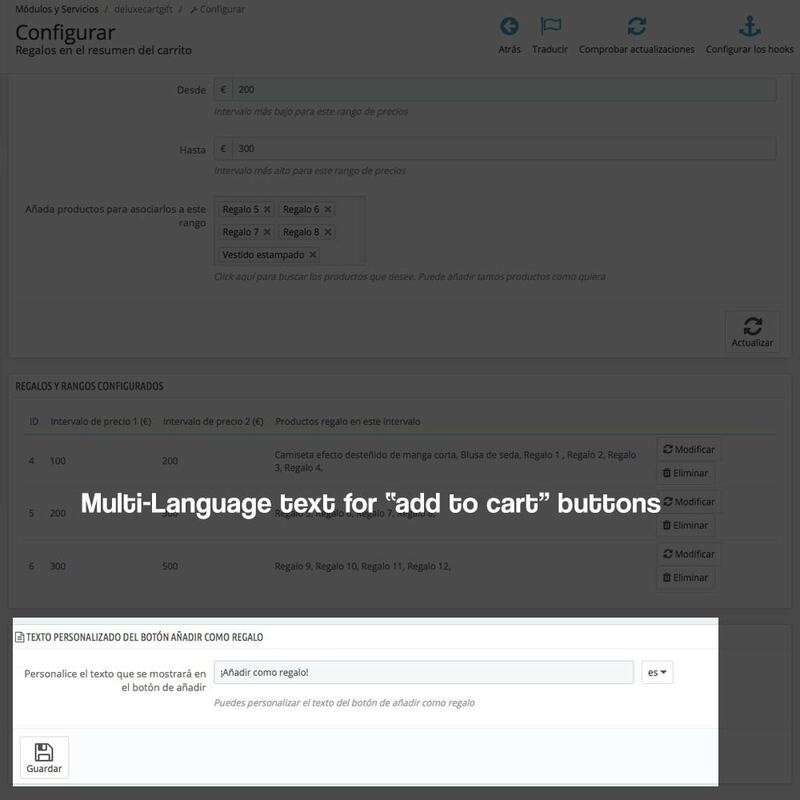 You can configure the text for “add to cart” button. 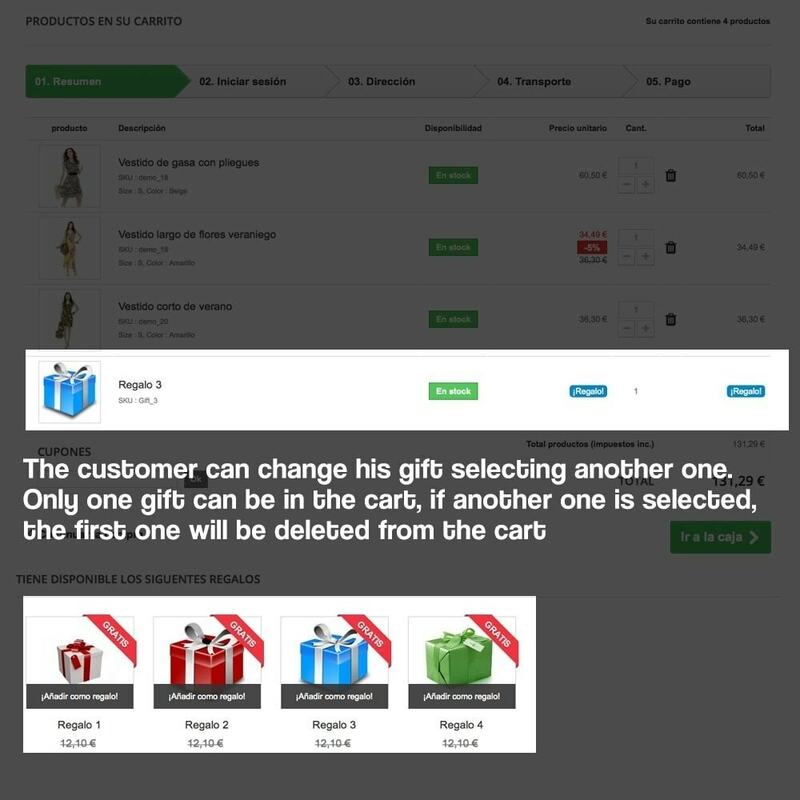 All the ranks will be displayed in the shopping cart, advising the customer about all the gifts he can get if he increases his order. 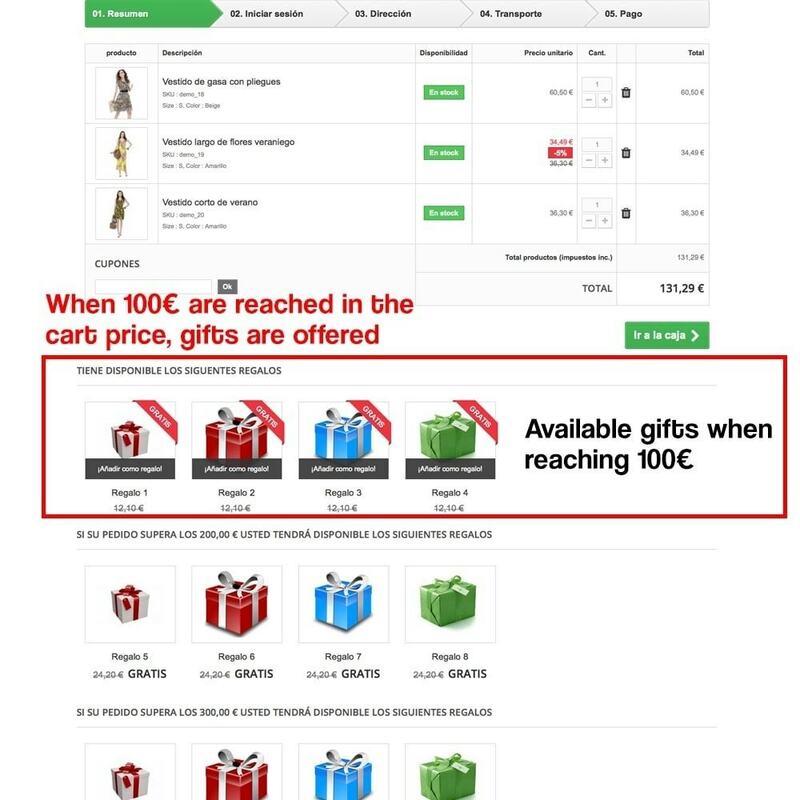 This way, the prices of the shopping carts will be increased. 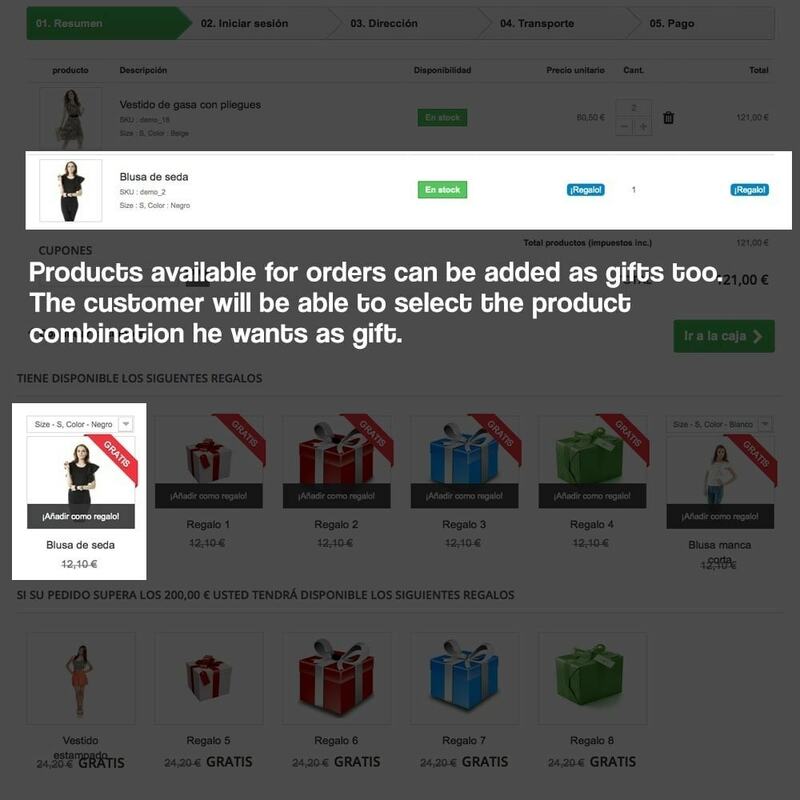 Customers will get gifts while ordering in your shop. This will push them to complete their orders and increase the price of the order. 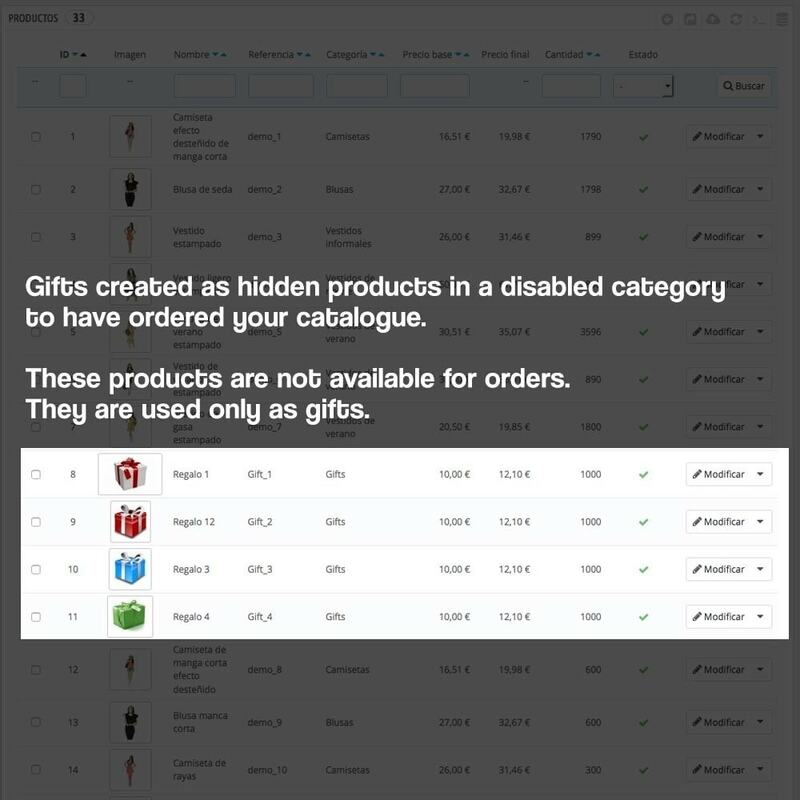 Customers will be able to get for free products that from your catalogue or products not available for sale in the shop, only available as gifts.